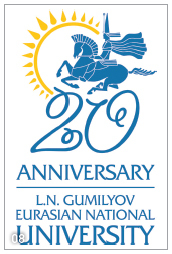 The L.N.Gumilyov Eurasian National University (ENU) is one of the most famous and rising universities in Kazakhstan. It is national university in Astana, new capital city of this country. 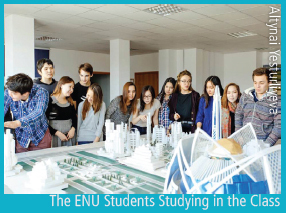 Even though the country and the university are probably not familiar to students of the University of Seoul (UOS), the ENU can offer a great experience to them. However, only a few students have visited this country and university in the UOS exchange program. For these reasons, The UOS Times would like to introduce the ENU to its readers. 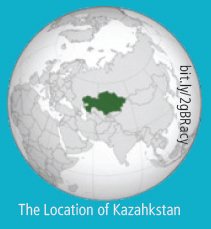 Kazakhstan is a vast country lying across North Central Asia and Eastern Europe. When people think of Kazakhstan, they might see it as one of the “Stans” in Central Asia, yet this country has a deep connection with Korea in 20th century history because of the deportation of Koreans in the Soviet Union back in the 1930s. During the Japanese occupation, many Koreans moved to Maritime Provinces in Russia to seek shelter and a place to prepare their independence movement, but because of Stalin’s concerns about Japanese spies, Koreans in this region were forced to move to Central Asia. Kazakhstan was one of the designated places in that area. Many decades have passed since this deportation, and there are now more than one hundred thousand Korean descendants living in Kazakhstan. This is the 9th biggest proportion of overseas Koreans in the world, according to the 2013 census from the Ministry of Foreign Affairs. Kazakhstan’s capital city, Astana replaced the former capital, Almaty. The new capital is continuously growing while maintaining harmony between both old and new traditions, and it is preparing for the 2017 International Future Energy Expo. 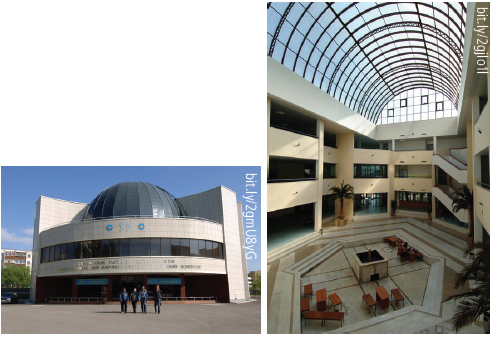 Like the city where the university is located, ENU is also quite young, having only 20 years of history. In addition, since it is the “national” university it gets a lot of support from the government. Half of the campus buildings are brand new and every building has its own accommodations, such as a cafeteria. Also, many professors are renowned researchers in their academic and practical fields. For example, the Dean of the Civil Engineering Department actually helped design the dormitories at ENU. As the national university, ENU gets generous funds from the government for student research. When students present new ideas for scientific projects and if they win a few competitions, the government, after a simple hearing, gives funds to them so they can proceed. The university also offers monthly scholarships for high achievers. Currently, the university motivates students to study and utilize their talents. ENU offers various academic opportunities to its students as well. Every subject, including pure academia such as Law, is conducted through both lectures and seminars, so students have more chances to participate in class by doing real activities and having discussions in the seminars. The university also has a “Double Diploma Program,” and this allows students to study at other local and global universities. The students can study at any other university that has an agreement with ENU and get a master’s degree from both ENU and this other university. This program and other exchange programs also attract students from foreign countries to ENU, so students at ENU can easily study foreign languages in a globalized environment, such as at the King Sejong Institute on campus. Additionally, exchange students from outside of ENU can benefit from all of these academic experiences without any regulation from native ENU students. They can take part in every class and learn Russian and Kazakh from other ENU students. Because the city of this university is geographically more north than Korea, the lowest temperature during winter in Astana is about -25 ~ -30ºC, which is much colder than in Korea. However, there is a lot of sunlight in Astana all year around, which is good for generating solar energy. There are also few snowy days in the winter. Our interviewees from Kazakhstan told us that they can survive the winter with warm clothes and many public countermeasures, such as steamed booths in bus stations. Therefore, Korean students who plan to study at ENU should not worry too much about the cold weather. Another attraction of Kazakhstan for most foreign students is the low costs. The price of most products and services in Kazakhstan, from transportation fees to commodities, is far lower than in Korea. Astana is a new city, so it does not have an underground rail system, but the taxis and bus transportation system are convenient and cheap. According to our interview, a lot of Korean students at ENU did not want to go back to their homeland because of these advantages. A lot of students apply to the exchange student program not only to study overseas, but to visit tourist attractions in other countries too. Kazakhstan is a vast and beautiful country with tons of great tourist sites, and many of them are easy to travel to from Astana. For example, Big Almaty Lake and one of the highest mountains in the world are located in Almaty, the former capital and megalopolis, which is less than two hours by plane from Astana. In addition, other beautiful beaches and mountains in Kazakhstan are very close to Astana, and it takes only an hour by car to get to most of them. Our interviewees said the culture in Kazakhstan is quite similar to that in Korea, like the custom of expressing appreciation frequently to others, such as saying “thank you.” However, the Korean habit of immediately asking someone their age on their first encounter might be considered a rude gesture by the most Kazakhstan people. They do not ask the age of other people until they have built a close relationship with them. At the same time, they also respect elder citizens all the time, more than even contemporary Koreans. Because of the influences of this culture, even in this foreign country, our interviewees said they always give their seats to elders on the subway. The food is another big difference between Korea and Kazakhstan. 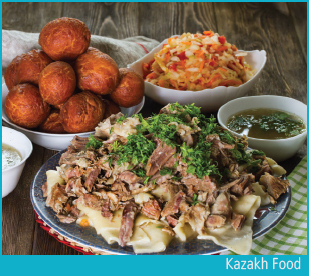 Most Kazakhs are Muslim, so many of them do not eat pork. They usually eat horsemeat instead. And Korean food is far spicier than Kazakh food. Thus, before students visit Kazakhstan, they might need to visit a semi-Kazakh restaurant in Seoul and test their appetite towards these foods. If you want to visit a beautiful, wild country with great scenery and study in more practical ways with global friends, you should choose ENU as your next place of learning. You can study there without financial difficulties and have a cool experience. 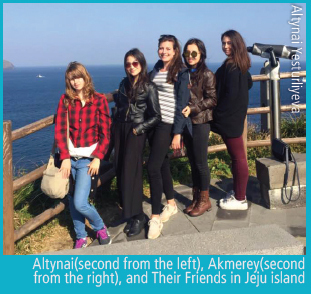 *All information of this article comes from official materials from ENU and interviews with Altynai Yesturliyeva and Akmerey Korkytova, ENU students who are currently studying at UOS as exchange students.